America has had an exceptional state-based insurance regulatory system for a long time. It does not require a radical change. America has had an exceptional state based insurance regulatory system for a long time. It does not require a radical change. As the title of this article infers, the nature of insurance regulation in the U.S. is changing and, in many respects, foreign agencies are becoming America’s regulators of financial institutions, including insurers. This has resulted in a wave of new regulatory requirements and proposals. These regulations are dramatically different from those of the past – theoretical and not pragmatic. This is occurring without the direct input of state legislatures even though these requirements will dramatically change the state system of insurance regulation. State legislatures still have the ultimate power and authority of the nature of regulation in each state. If this continues, it could result in a substantial change in the U.S. insurance markets, products and competitiveness all to the detriment of U.S. consumers. I have had the good fortune and opportunity to be a very active participant along with many others in the development of insurance regulatory requirements from the early 1970’s to the mid-1990′s, when I left government service. Most of these propositions were enacted by the states. Observers have stated that those rules and requirements were at least in part responsible for the U.S. insurance industry not being adversely impacted by the financial crisis of 2007. Pragmatic regulations are those that are based on practical considerations and address historical phenomena with reference to their causes and conditions. They emphasize practical results rather than theory, and the consequence of implementation is a known value. Furthermore, the compliance burden and cost thereof would not be greater than the benefit to be derived. The risk based capital law instituted several years ago is but one example of a pragmatic requirement. Its primary objective was to establish a threshold capital level that, when penetrated, required regulators to respond. This addressed the often-observed situation of regulators failing to act or act timely when an insurer’s financial condition was deteriorating. Sometimes existing regulation required modernization to meet current conditions and opportunities. The changes to the investment laws adopted several years ago are an illustration of this need. It permitted insurers to take advantage of investment strategies and opportunities under the controls set by the new law. Theoretical regulation is, on the other hand, requirements that are conceptual or untested ideas or opinions. They do not result from practical experience that could produce a pragmatic response. The specific concerns they seek to address are not root causes, but a generalized notion that something must be done. 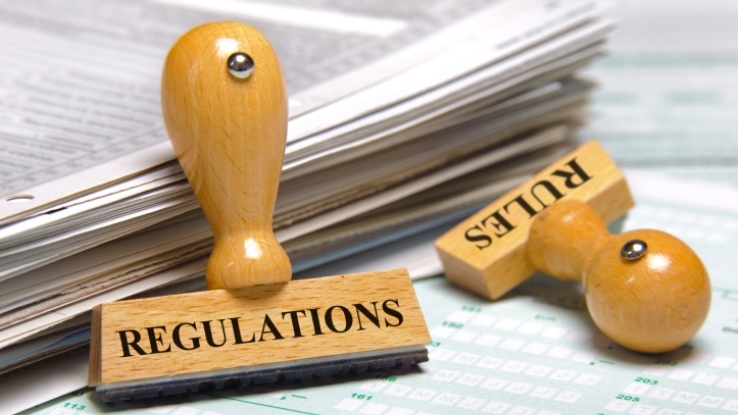 Largely, at the urging of non-U.S. government agencies supported by U.S. federal non-insurance regulators, state insurance regulators are moving toward theoretical regulation. I guess I should not find this surprising, since as far back as I can remember, non-U.S. regulators wanted federal regulation of insurers in the U.S. Simply, they could not understand the state system and wanted to deal with only the federal regulator. The International Monetary Fund continues to call for a U.S. system of regulating insurers that is less fragmented. Why state insurance regulators are willing to relinquish the U.S. system that has worked so well is a mystery. The NAIC and its members should be touting the U.S. regulatory system, which has permitted a marketplace that fosters competition on price and terms and stimulates innovation. This system has permitted the insurance industry to grow financially and contribute substantially to the U.S. economy. A competitive system will produce an occasional failure, so the regulators’ task is to detect them early on and remove them from the marketplace when rehabilitation is not feasible. As Edwin Patterson wrote in his 1929 seminal insurance administrative law textbook, the preliminary focus of insurance regulation is the ability to pay claims or to regulate for solvency. That objective guided insurance regulation, not only then, but in the decades that followed. One example of theoretical regulation is the Own Risk & Solvency Assessment (ORSA) requirement that is currently being adopted by several states. The origin of this regulation is clearly Solvency II requirements applicable to European insurers. At its essence, ORSA takes a management tool – enterprise risk management (ERM) – and converts it into a regulatory requirement. ERM goals and objectives are not solvency based, but are aimed at achieving strategic goals and identification of risks to an insurer’s business plan. These are important to managing a company, but what regulators will do with this new information is not clear. This same regulator had previously referred to ORSA as a game changer. I concur with the declaration since it shifts regulation from pragmatic to theoretical. However, over the last 50 years, I have learned there is no “silver bullet” for improving regulation. After studying many insurance failures over the years, most should not have been a surprise since there were obvious “red flags” that went undetected by regulators. While regulators are grappling with the implementation and review of ORSA summary reports, I hope they are not distracted from reviewing and reacting to the vast amount of data and information produced by existing pragmatic requirements. While ORSA only impacts the largest insurers at the present time, it is my belief that more insurers will face the requirement over time. It is well known that regulation does contract. For those insurers not already using ERM, it will be a costly burden to implement. What regulators will do with the data and information in the ORSA reports is a matter of concern. What they expect to learn of regulatory importance is not clear. One financial rating agency has said they do not anticipate ORSA to reveal unknown risks. Regulators in the U.S. are not management consultants nor do we want them to be. In some other countries regulators come close to assuming such a role. In the U.S., we believe in the rule of law and due process, which limits what a regulator can do. Unauthorized meddling into an insurer’s affairs is not permitted despite best intentions. The present statutory environment in the U.S. only permits a regulator to interfere with a company’s operations when it is in a hazardous condition or trending in that direction based on actual results, not future possibilities. Another area of concern is the current international discussions for group capital standards for global insurance firms. This is not only another example of theoretical regulation but more importantly directly conflicts with the findings and recommendations of the NAIC’s “1968 Study of Insurance Holding Company Regulation.” This report was in direct response to real problems at the time. Nothing has occurred that I am aware that should cause abandonment of the report’s findings and recommendations except, of course, those outside the U.S., encouraged to some extent by certain federal agencies, that want such reform. It is further unnecessary, since the U.S. requires an insurance entity to have more than sufficient capital to support its insurance and other obligations. A similar requirement already exists in most jurisdictions outside the U.S. Since insurance is inherently a most uncertain business, we required conservative accounting conventions to be followed by insurers. The U.S. does not believe in a system where an affiliated entity can be called upon to provide a cushion or absorb a loss resulting from a mistake or misfortune of a related company, except under certain circumstances. Nevertheless, the NAIC’s working group on Com Frame recently released a discussion draft on approaches to group capital calculation. Requiring excess capital in the U.S. will discourage new entrants and reduce competition. It appears to me that Central Bankers of the world want a global capital standard for the insurance industry for the simple reason that insurers have never had one. This has existed for good reason – the risks of an insurer are much different than those of a bank. Further, the lack of a standard for insurers did not cause or lengthen the financial crisis. There is at least one non-U.S. practice that we ought to consider adopting in the U.S. It concerns accountability. As Richard Stewart stated in 2003, the U.S. should adopt the admirable British tradition of commissioning analytical studies after something affecting the public interest goes seriously wrong. So, it would be my recommendation that the NAIC require itself to conduct a study of major insurance failures. The study would identify the root causes of the failure, whether regulators responded timely and appropriately and had the necessary regulatory tools. It was routinely done before and resulted in the pragmatic regulation that has well served the insurance industry and policyholders. America has had an exceptional state-based insurance regulatory system for a long time. It does not require a radical change. Its merits, successes and how it meets the needs of the U.S. marketplace should be explained to those that propose to dramatically alter it.